Among the many unknowns that come with a new year there is at least one thing we can be certain of: the internet will continue to grow and involve more and more people. The number of users is on the rise and new start-ups are springing up, while the Nasdaq stock market and technology stocks are performing twice as well those on the Dow Jones index, showing us which way we’re going. 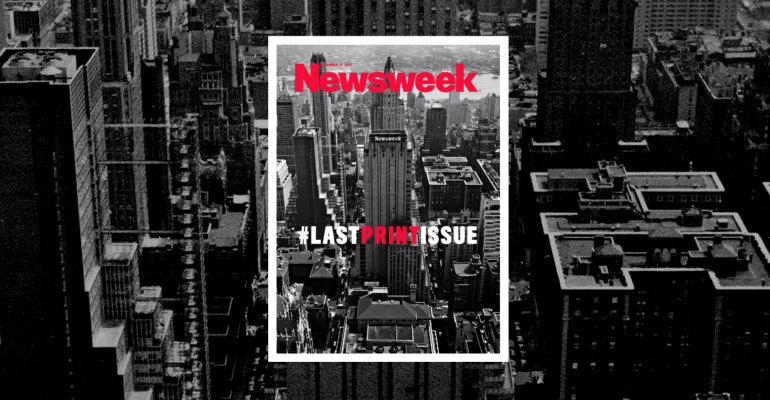 The beginning of 2013 has also been marked by fireworks online, with the biggest bang coming from Newsweek, who waved goodbye to their print edition and began an new online era with a simple title – #LastPrintIssue. The new year promises provide further confirmation that we have a different way of communicating with the world around us, and seeing as the passage from web 1.0 to 2.0 took place rapidly, in 2013 we can expect to see a step taken towards web 3.0. This won’t come from any great leaps forward in terms of technology, but rather better use of what we already have. We will see the number of people using mobile devices surge as they use social media to keep in touch with one another (more through Twitter than Facebook) and share information. Looming over the horizon is a step towards web 3.0, and although no-one yet knows what exactly it will be, plenty are speculating. Looking ahead I feel like sharing what Gabriele Cazzulini wrote in an article for the FERPI (The Italian Public Relations Federation) website, which says that 2013 will bring a more human touch to the use of technology, in that it will be increasingly at the service of people and their needs rather than a mysterious world occupied by a few. That’s a more noble calling, if you ask me.